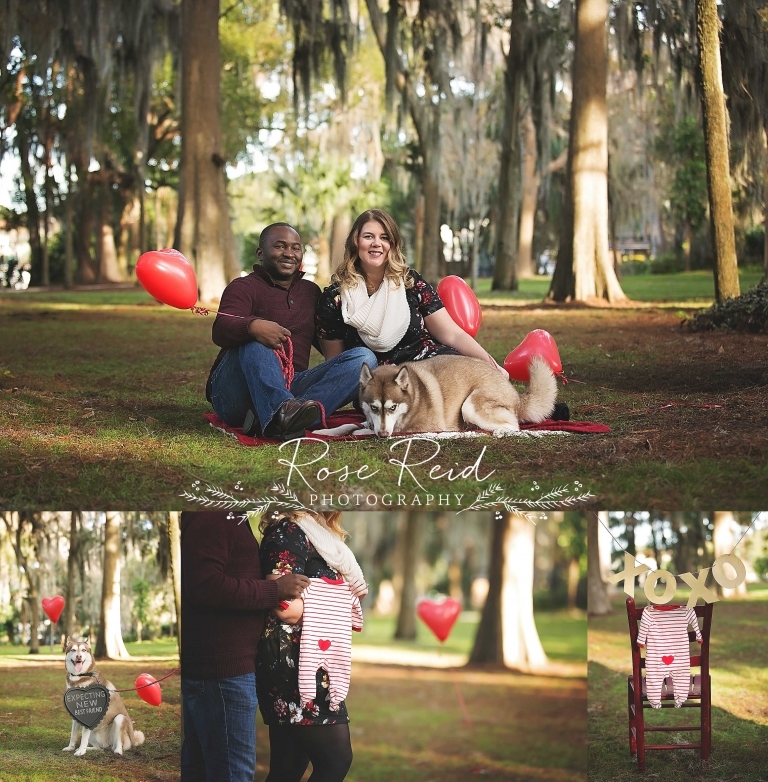 Valentine’s Day Pregnancy Announcement Orlando ~ Happy Valentine’s Day! I was beyond excited when Meghann contacted me with her Valentine’s Day themed announcement. She has planned for weeks to get this announcement perfect for her & her husband’s closest relatives and friends. 🙂 Starting a family is such an important milestone and I’m so happy that they shared their secret with me! 🙂 Here are some of my favorites from their Valentine’s Day theme pregnancy announcement starring our newest parents-to-be Meghann & Brad ( and their first born fur baby Cody). Special thanks to my friend Kristin for referring them to me. 🙂 Please take a moment to stop by my Instagram of Facebook page to see my latest work! Rose Reid is an Orlando based fine art portrait photographer in the Central Florida area. Rose specializes in maternity, newborn, babies, children, and families. Contact her today to plan your next session!